A new undergraduate degree will soon be offered by the Department of Neuroscience, Cell Biology and Physiology at Wright State University. The Bachelor of Science in Neuroscience, which will be offered beginning fall semester 2017, emphasizes how fields of science and mathematics can be applied to neuroscience. Wright State is the second university in southwestern Ohio to offer the degree. The degree program will utilize active-learning strategies so that students can learn by doing rather than listening. The approach will help to best prepare them for advanced careers of the future. The program focuses on in-depth neuroscience knowledge centered on four main learning goals, including the organization of the nervous system; cellular neurophysiology; how neurons process information; and how neural networks work together to mediate behavior. Those majoring in neuroscience also will develop broadly applicable skills in learning independently, collaborating with others, communicating effectively and solving complex problems, among others. The Bachelor of Science in Neuroscience program will give undergraduates the opportunity to take part in significant research through a laboratory research experience. 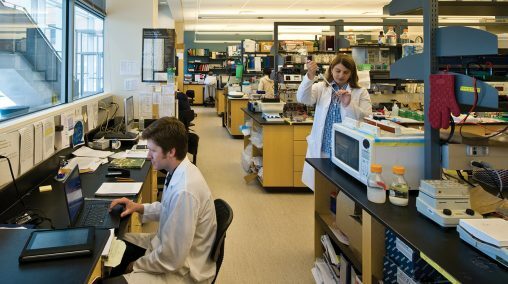 Students may also go on to collaborate with faculty through independent research. For students looking to later work in the health or science professions, the research experience will prepare them for further study in their chosen field. For more information on the new Bachelor of Science in Neuroscience degree, contact Patrick Sonner at patrick.sonner@wright.edu.